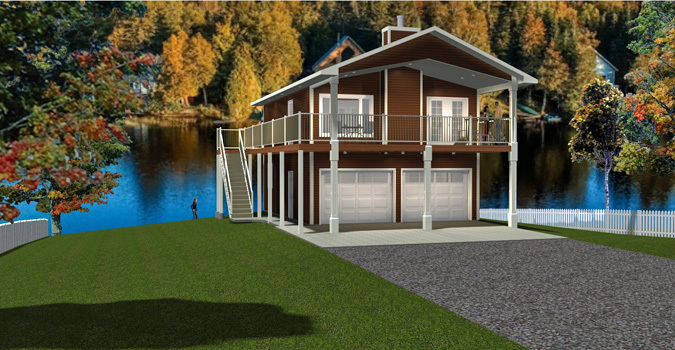 Perfect for that lake lot, this cabin has a main living area over a 2-car garage. 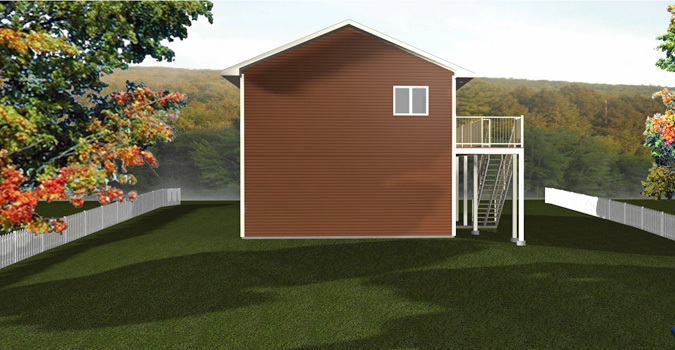 The garage level (lower floor) houses the mechanical room, the laundry room, and a half bath. With two 10'x8' overhead doors, it will be great for storing your vehicles, your boat, your ATV, or other water toys. 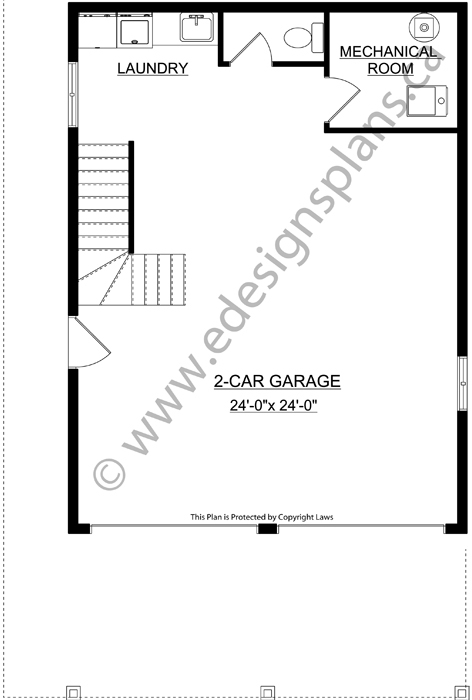 Up the stairs from the garage or up the stairs from the outside brings you to the living room, nook and kitchen area, which has a vaulted ceiling. A nice fireplace is shared between all three rooms. Two bedrooms with a 3-piece bathroom are towards the back of this cabin. Enjoy this unique design.